Beehive: Do we really need a dislike button? Since I've been using Facebook, more frequently in the last few years, all I read is how we need a dislike button. Recently Facebook updated their reactions to posts, but people are still not satisfied. "All we wanted was a dislike button." Why? Because you have to let the people to express themselves. But! If there's a situation or a post about mass killing, dead puppy or some other awful and sad thing, you have angry and sad emoji or expression. So, you can express you don't like something through that. Or you can just comment. I know that's not the same as a dislike, but you can find some other expression other than dislike. If you haven't noticed, I'm against dislike button. I really hope it will never become a thing. Last thing we need is negativity. Especially at social media. I see lots of things I don't like, but I mostly keep quiet about it. Like I said before, if I see killing or dying of any kind, I'll put sad or angry emoji. I don't need a dislike. Especially if some of my friends post something, I'm not going to tell them that. And what do we need a dislike button for if we're not going to use it? And if we are, we're most likely to hurt someone. Example. One of my best friends posted a profile photo and it's just terrible. I mean, we don't like it, but he seems to be happy to have changed it. So, am I suppose to dislike that so the whole world would see it? Or so he could see it? I don't think so. And if there are some other videos, like vlogs or something like that, I don't want to dislike what somebody has worked for to do so. Do you get what I'm saying? I don't think it would be a good idea to introduce something like this. There's enough bad comments already out there, but people seem to be more active in the likes and in the comments. You see 100 likes and you won't go through that list to see who and why. But you see 10 comments and you'll read them all. This post is all over the place cause I wrote it pretty fast cause I just saw this again on my home page, but I really hope you'll get what i'm saying. 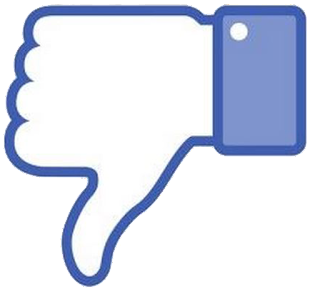 Your thoughts on dislike button?